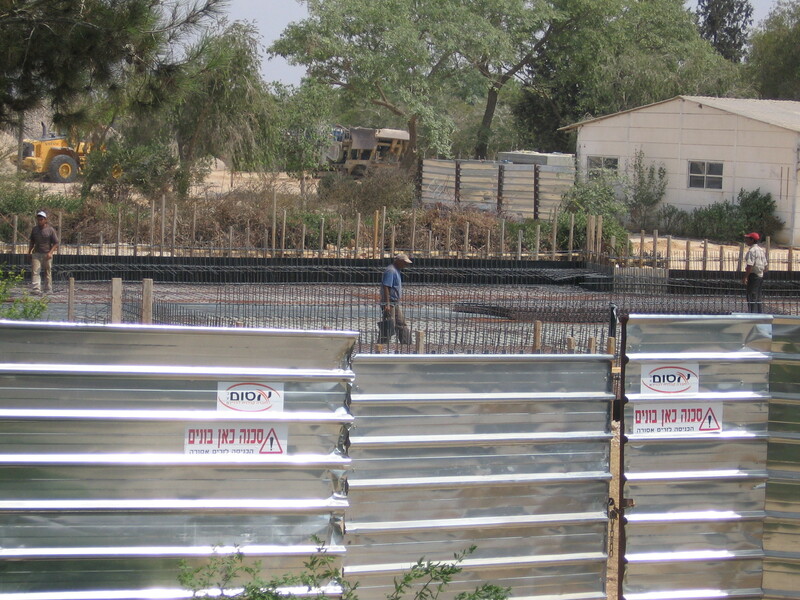 One unified High School is being built in the Eshkol Region. 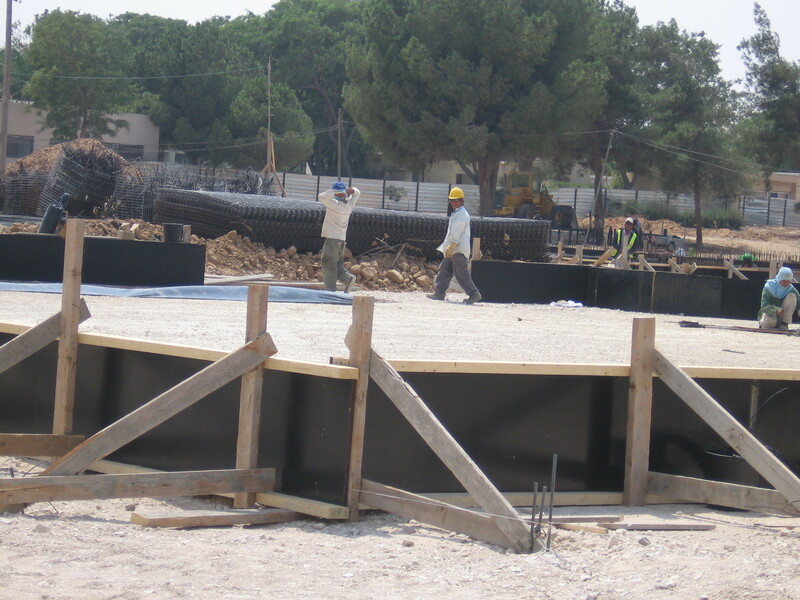 The new structures will be fortified, secure and allow a safe learning environment for about 1,000 students and staff. The new campus is being built on the grounds of Ma’ale Habsor, which is situated near the Municpal Buildings, the Central Bus Station, and the Eshkol Cultural Auditorium. We are also near the Music Studio, the Gymnasium, and the Psychological Centre offering therapies, clincial psychology sessions and other means of support. Ma’ale Habsor is opening the schoolyear with the cornerstone ceremony on August 31/08. At the moment, a large portion of the school is fenced off, viewable only from certain angles. Where the Art studios stood, there is intense building of one of many new complexes. This year while Ma’ale Habsor and Habsor Comprehensive High Schools are working on the unification process (due to be completed in 2009), what’s going on? Construction of the new campus is fully underway. How does that affect the coming schoolyear? A closer look at students with PDD (Pervasive Developmental Disorder), an umbrella term for a number of syndromes, and the growing need for all teachers to keep up with latest information. Please continue to check in. Thanks and hope your summer break was restful and enriching. May the new year bring new energies. GotPoetry a rather large and interesting poetry site. Interview with “Tzeva Adom” Cast Member Ya’ara Messika!